CN41. 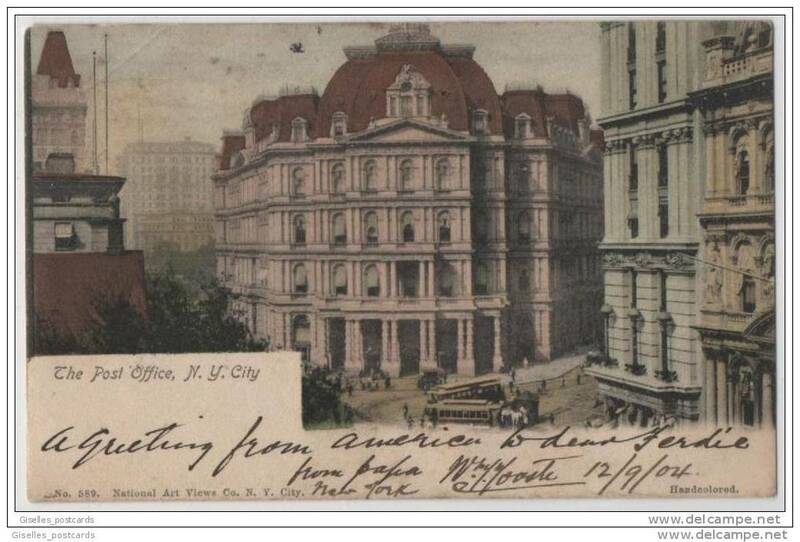 Vintage Prepaid US Postcard. 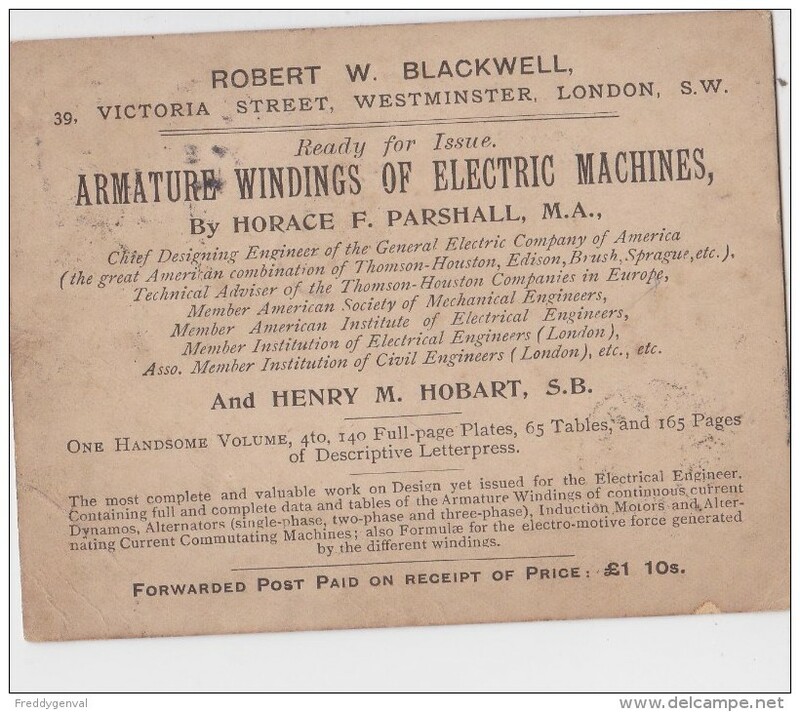 Indiana Machine Works. Fort Wayne. Multi View, Travelling Post Office at Paddington Station the Great Western Down. Multi View, Rural Postmen at Pendle; Broadbottom, Hyde; Surprise View Derentwater; and Northwich. BL033. 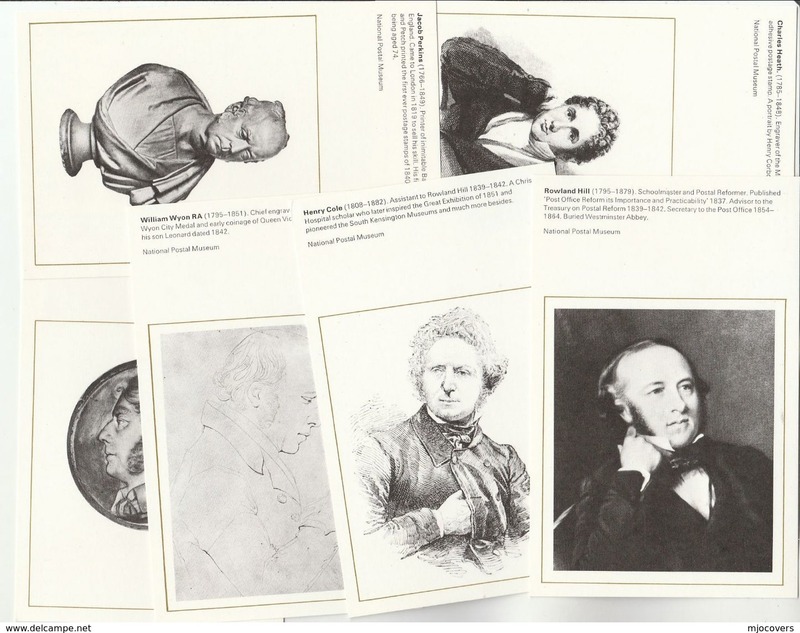 German Maxi/Maximum Postcards. Post Office Sign. 1900's, India, Bombay, Postman. Printed pc, unused. 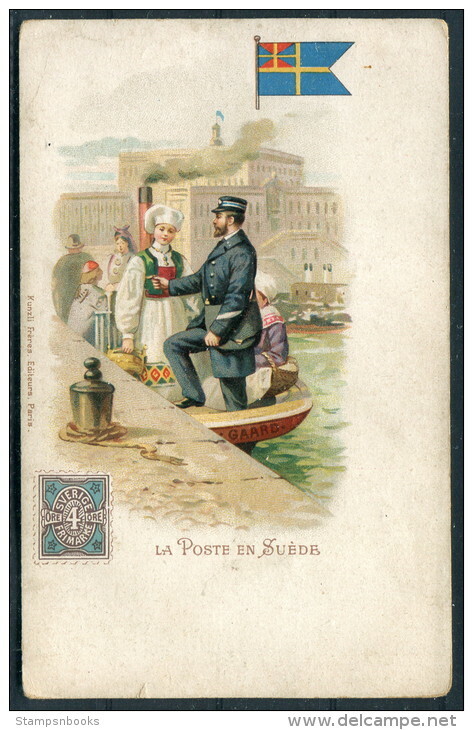 CG44.Vintage French Greetings Postcard. Postwoman delivering letters. BS12. 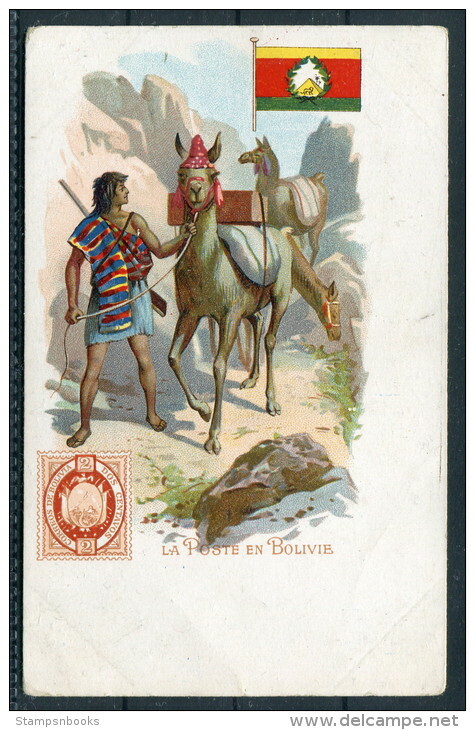 Private Mailing Card. 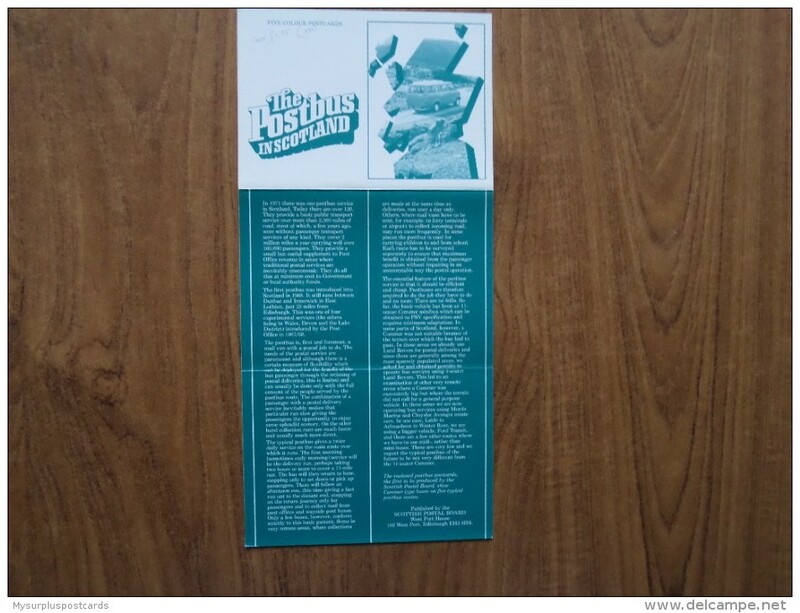 National Postcard Week.1987.Dumpling Rock Light. 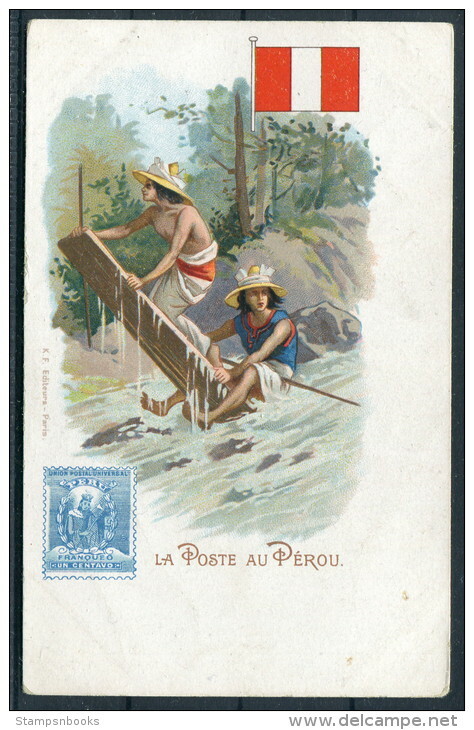 BP58.Vintage Card. Indian Postman from Delhi? 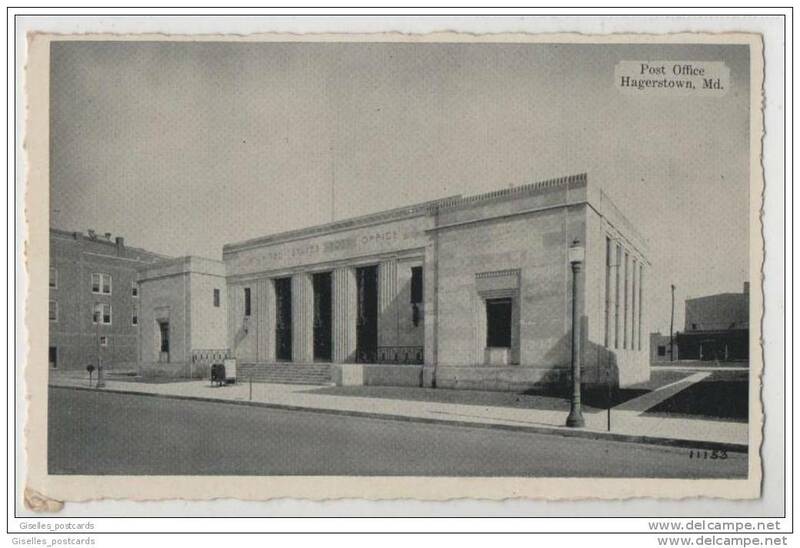 BP24.Vintage Postcard. The News. Woman reading a letter. BM22. Nostalgia postcard. Boer War. 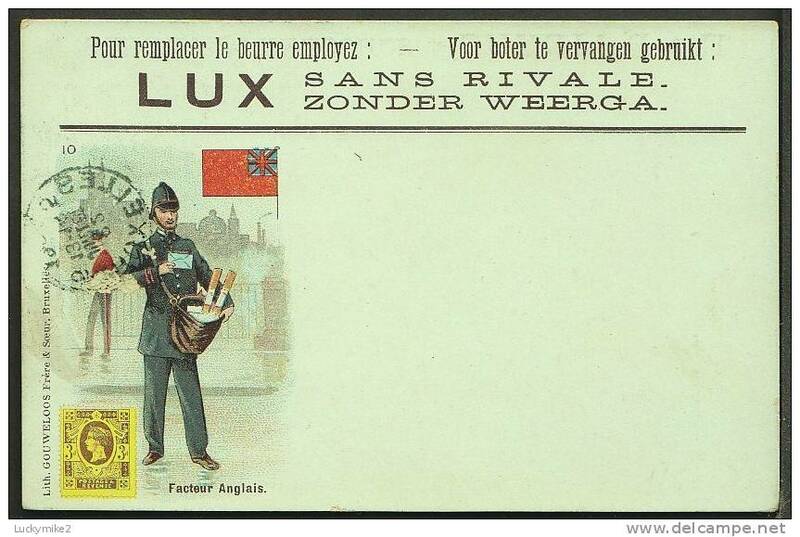 Christmas mail arrives from British troops. BL389. Postcard. 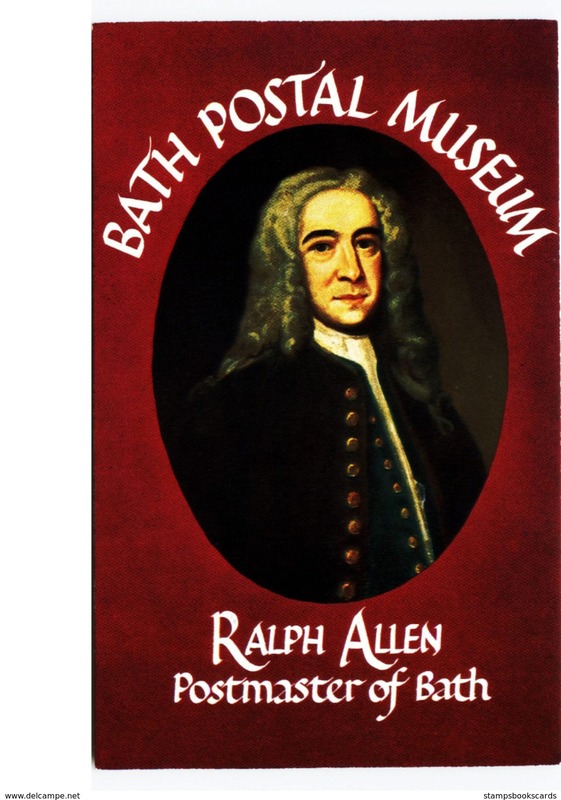 The Original Bath Mail Coach.1784. Horses and coach. 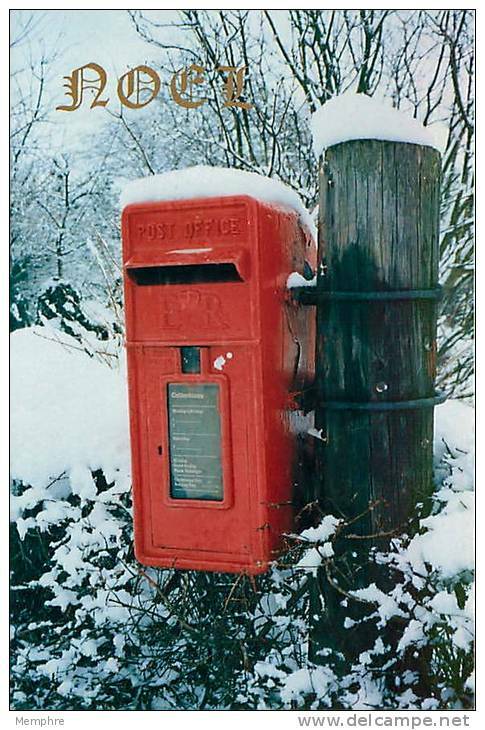 BL306.Postcard.The Honiton Royal Mail Post Bus at Dunkeswell Post Office. BH45. 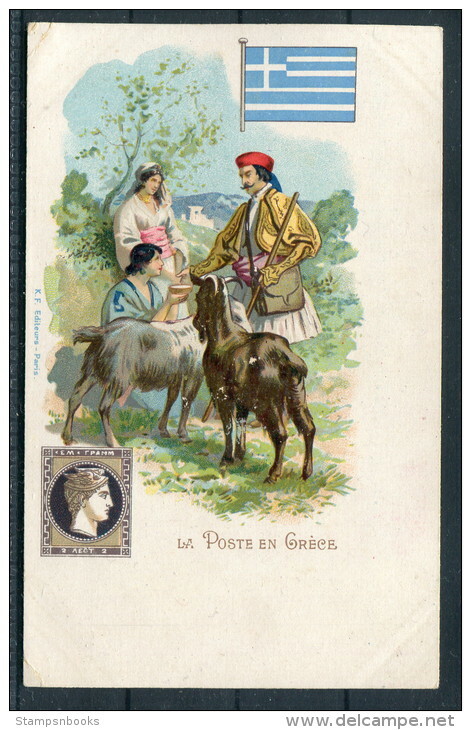 Vintage Postcard. Man posting a letter in a Penfold type Postbox. Winterslow near Salisbury. Lioness attacking horse of the Exeter Mail Coach outside of the Pheasant Inn. 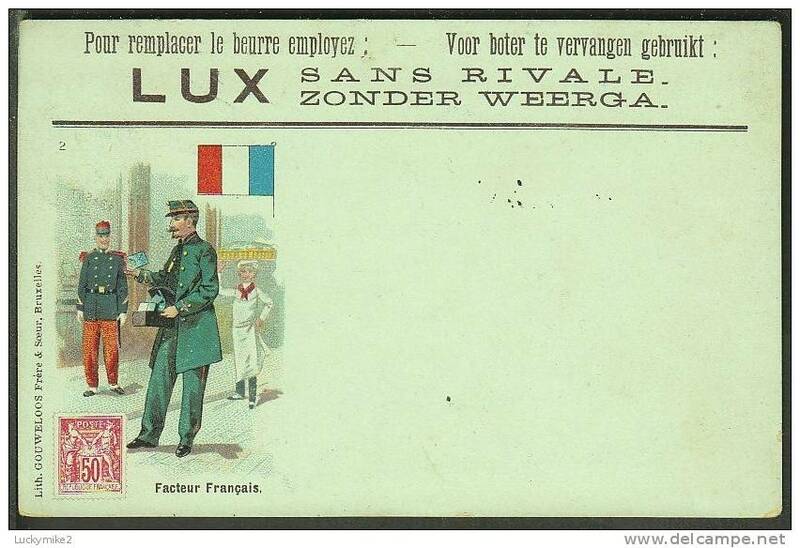 Illustrateur R.
E55.Vintage Dutch Postcard. Our Post. 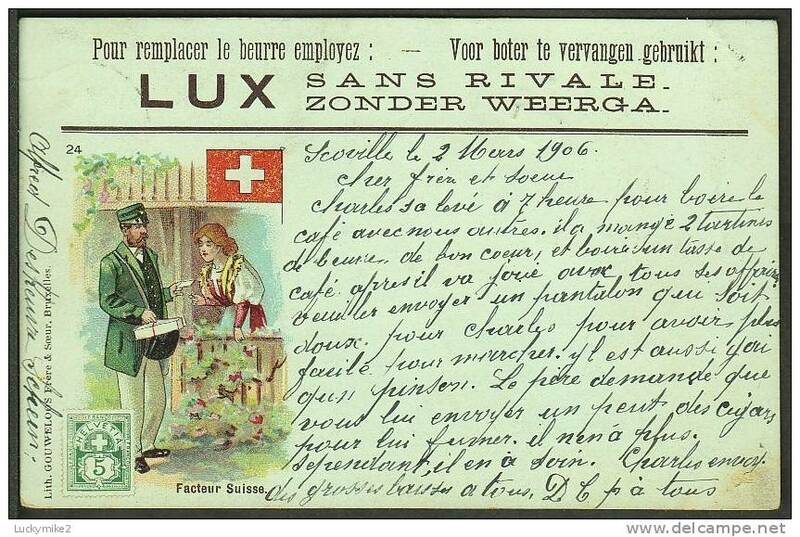 Girl in postal uniform? 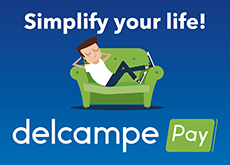 Onze Post. 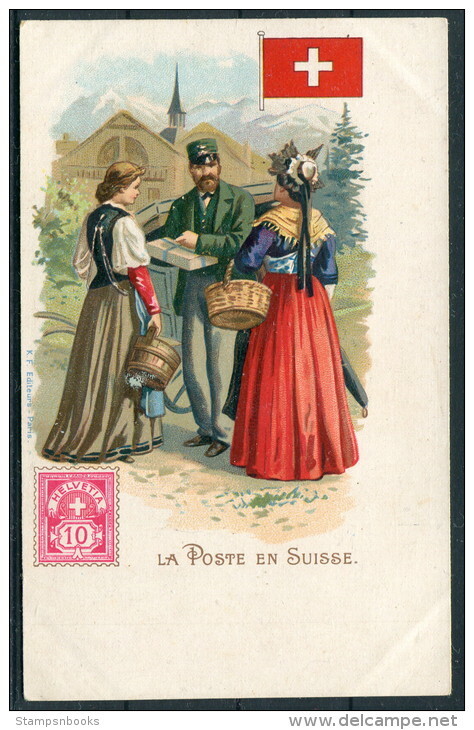 "Facteur Suisse", a postman of the world (number 24) "Switzerland", postally used 1906. 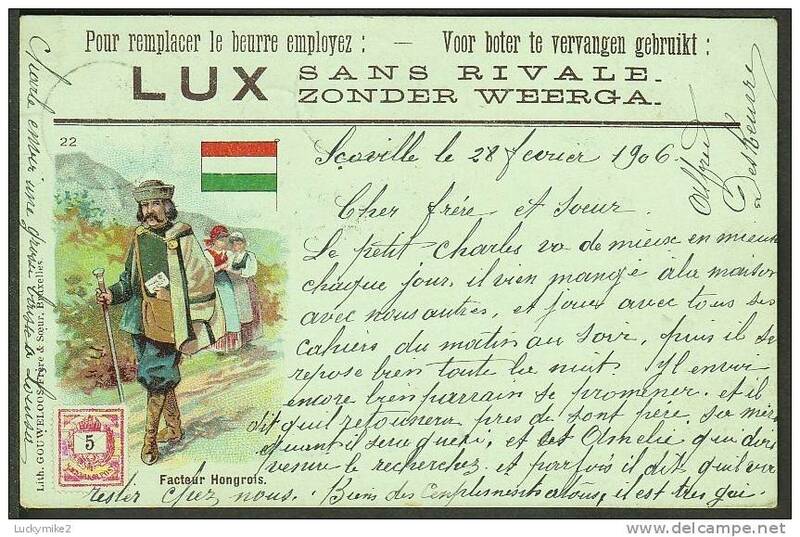 "Facteur Hongrois", a postman of the world (number 22) "Hungary", postally used 1906. 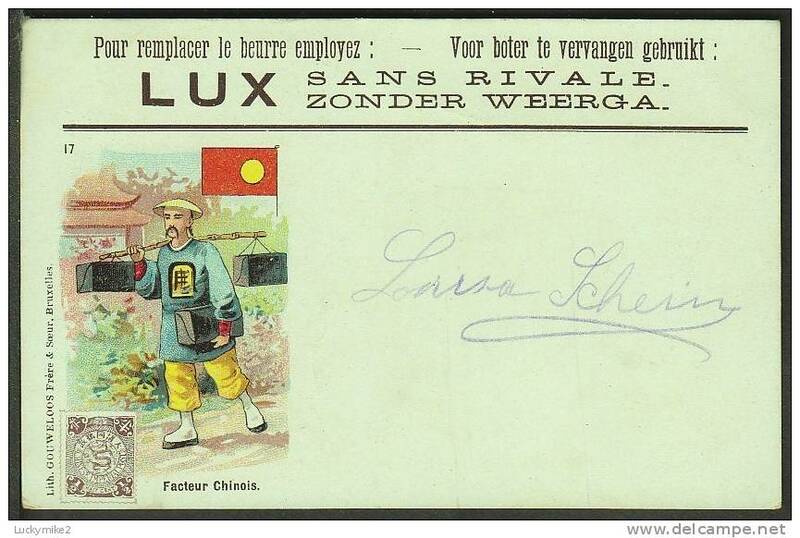 "Facteur Chinois", a postman of the world (number 17) "China", c1907. 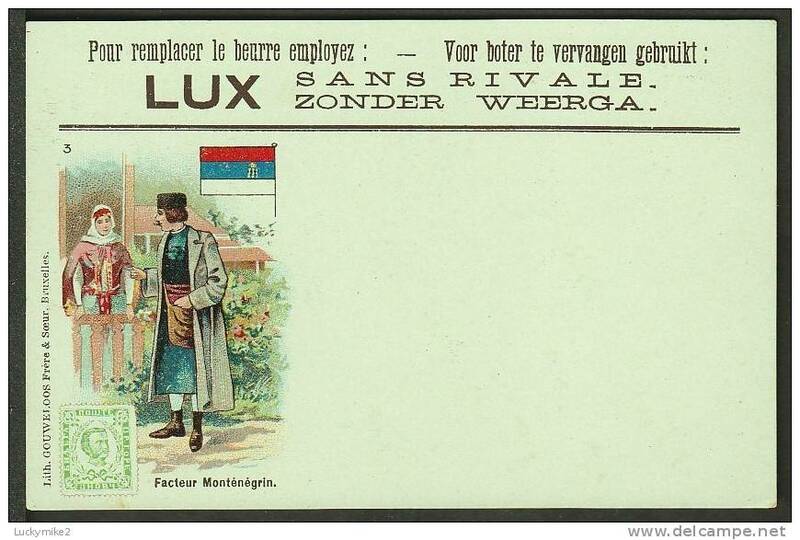 "Facteur Montenegrin", a postman of the world (number 3) "Montinegro", c1907. 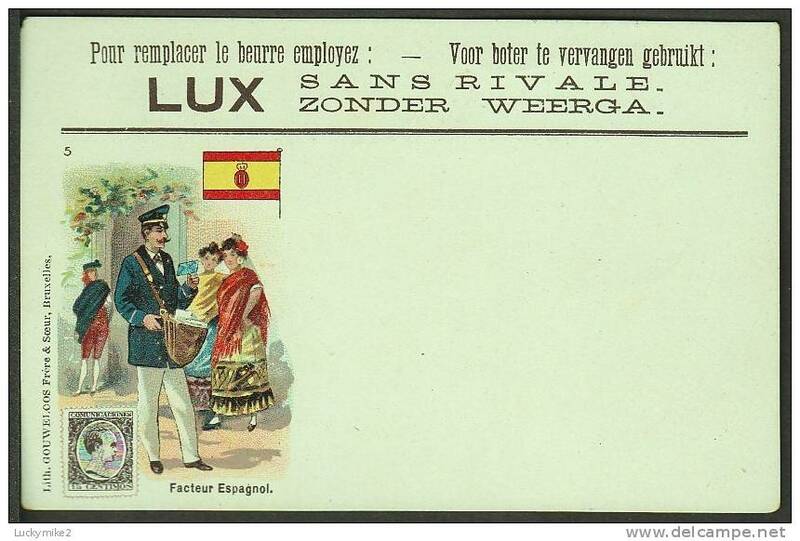 "Facteur Espagnol", a postman of the world (number 5) "Spain", c1907. 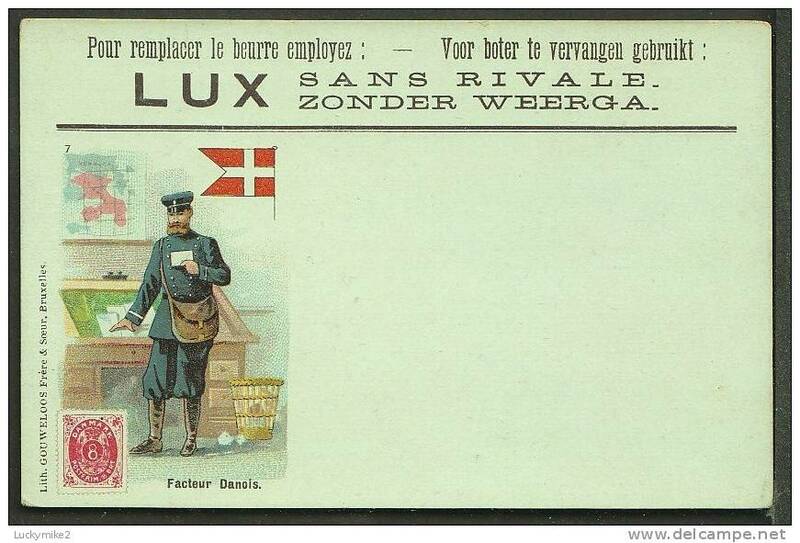 "Facteur Danois", a postman of the world (number 7) "Denmark", c1907. 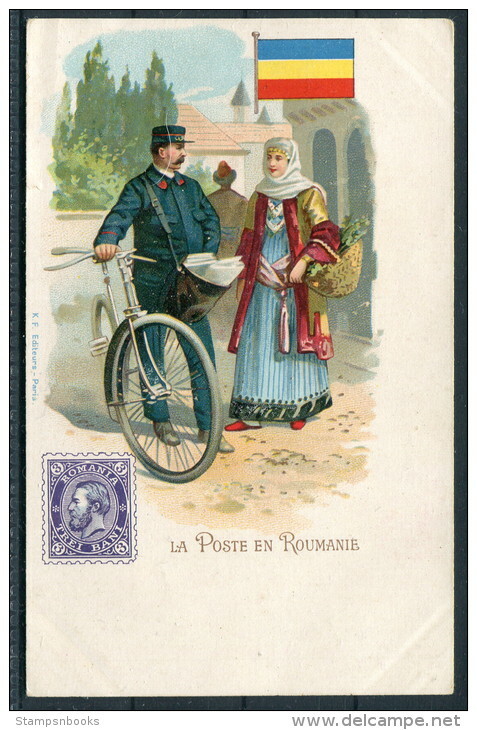 "Facteur Francais", a postman of the world (number 2) "France", postally used 1904. 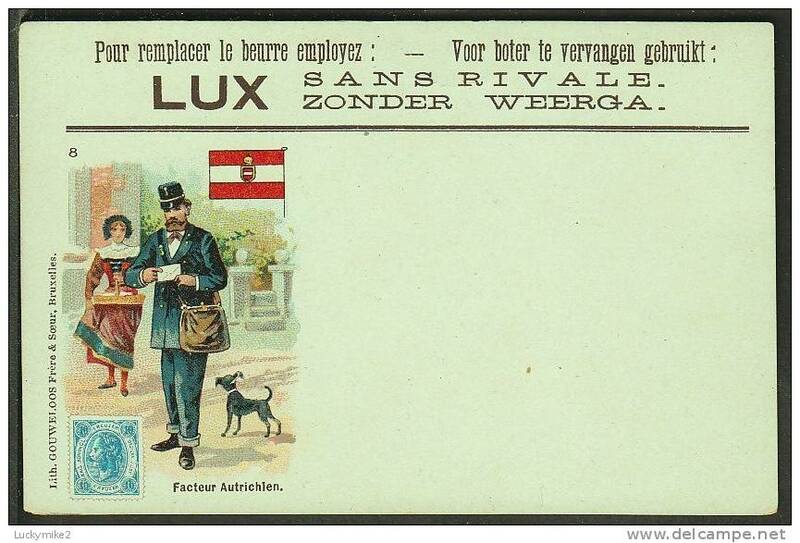 "Facteur Autrichien", a postman of the world (number 8) "Austria", c1907. 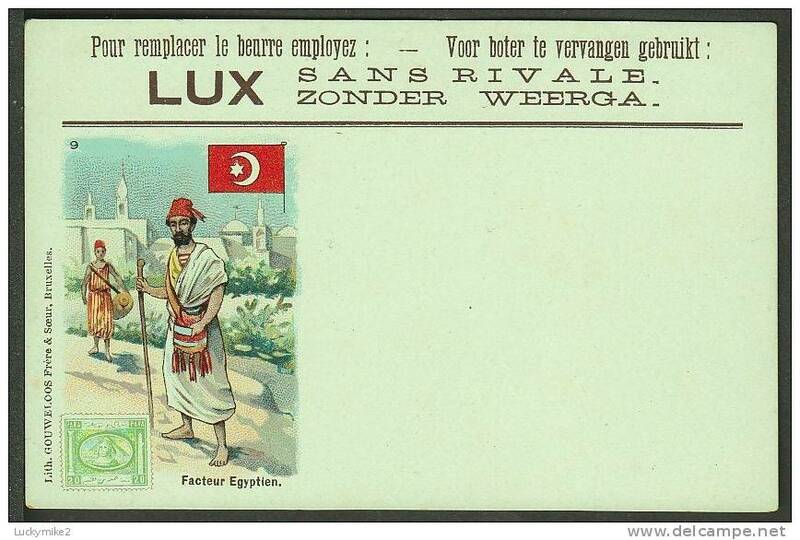 "Facteur Egyptien", a postman of the world (number 9) "Egypt", c1907. 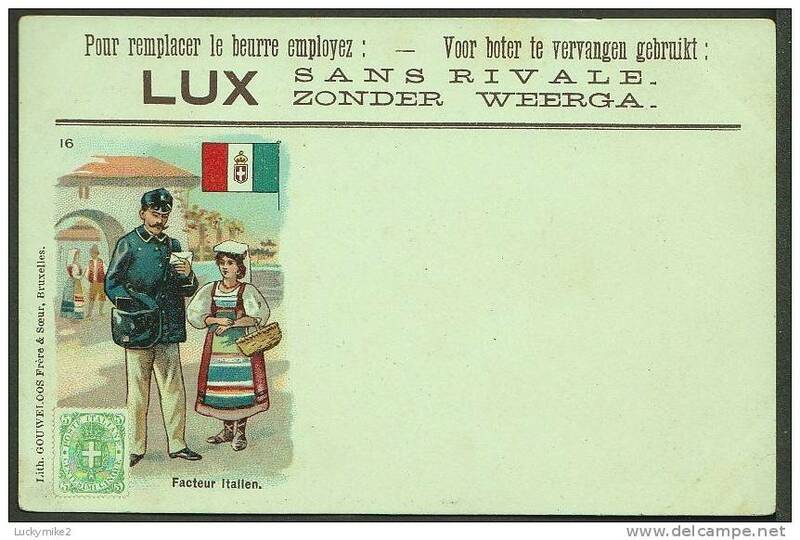 "Facteur Italien", a postman of the world (number 16) "Italy", c1907. 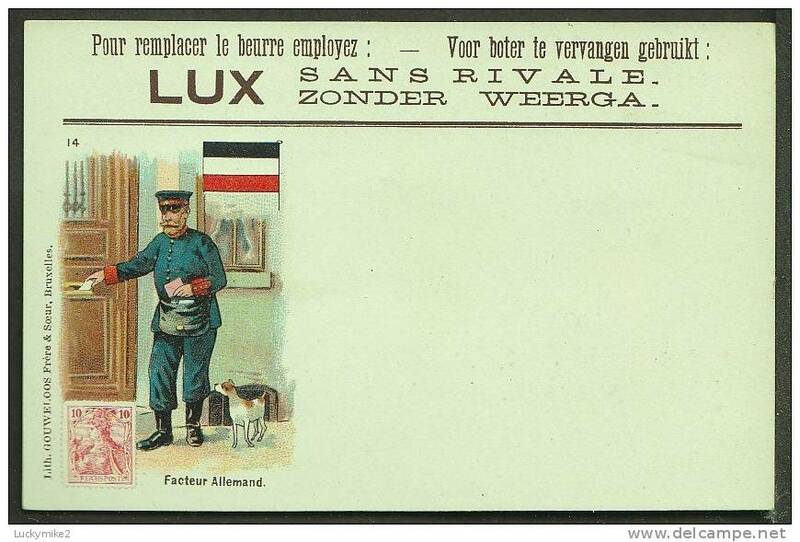 "Facteur Allemand", a postman of the world (number 14) "Germany", c1907. 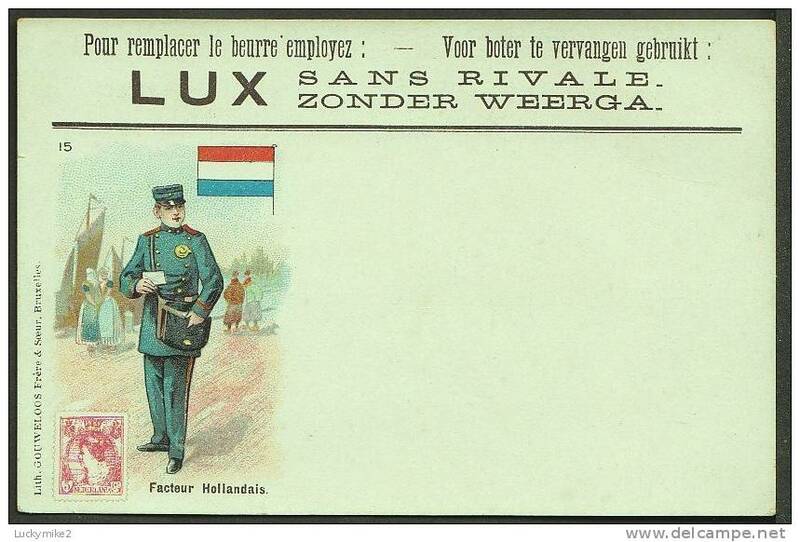 "Facteur Hollandais", a postman of the world (number 15) "Holland", c1907. 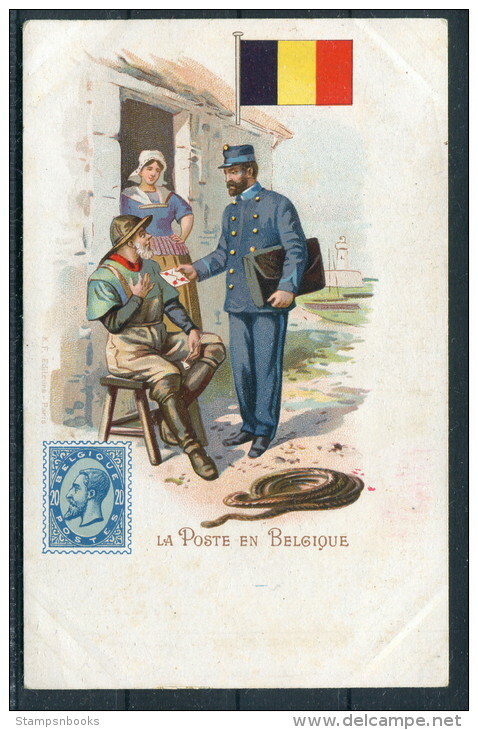 "Facteur Anglais", a postman of the world (number 10) "England", postally used c1907. 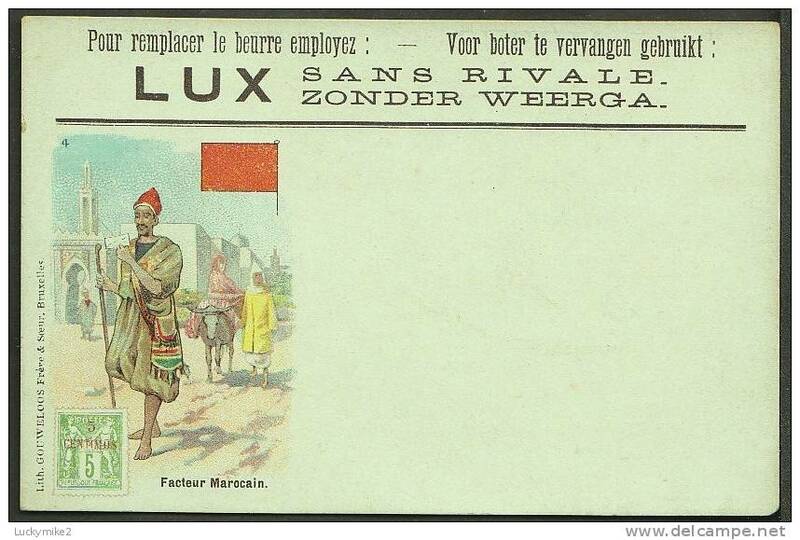 "Facteur Marocain", a postman of the world (number 4) "Morocco", c1907. 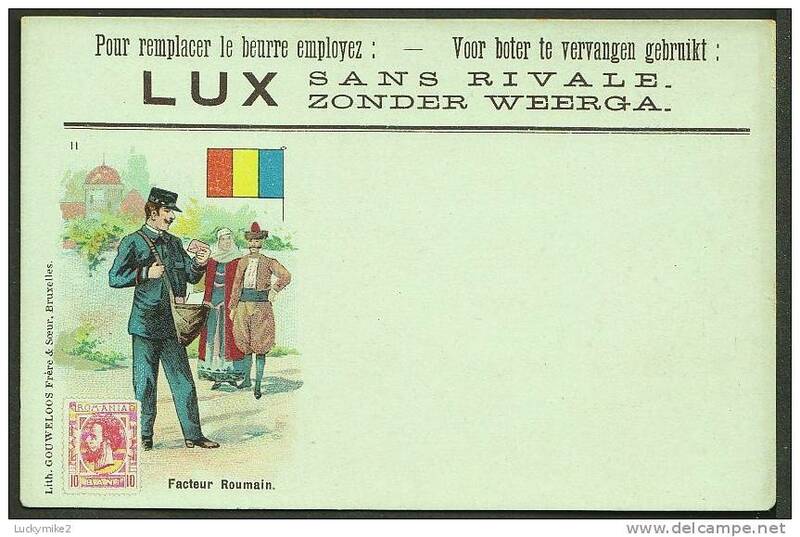 "Facteur Roumain", a postman of the world (number 11) "Roumania", c1907. 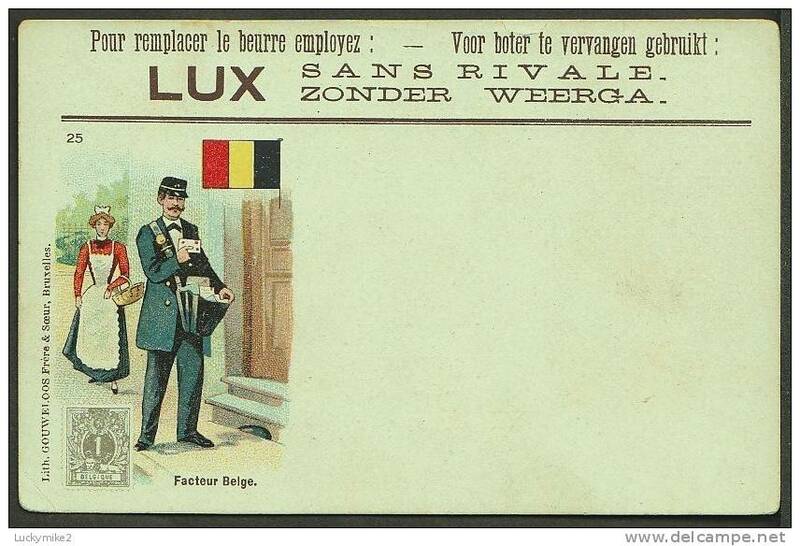 "Facteur Belge", a postman of the world (number 25) "Belgium", c1907. 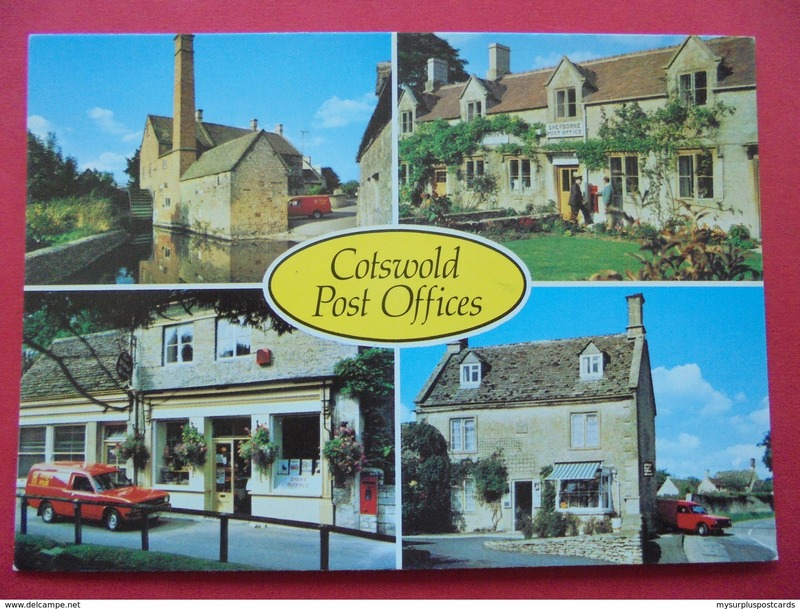 51682: POSTAL SERVICES: COTSWOLD POST OFFICES: Lower Slaughter / Sherborne / Bibury / Filkins. 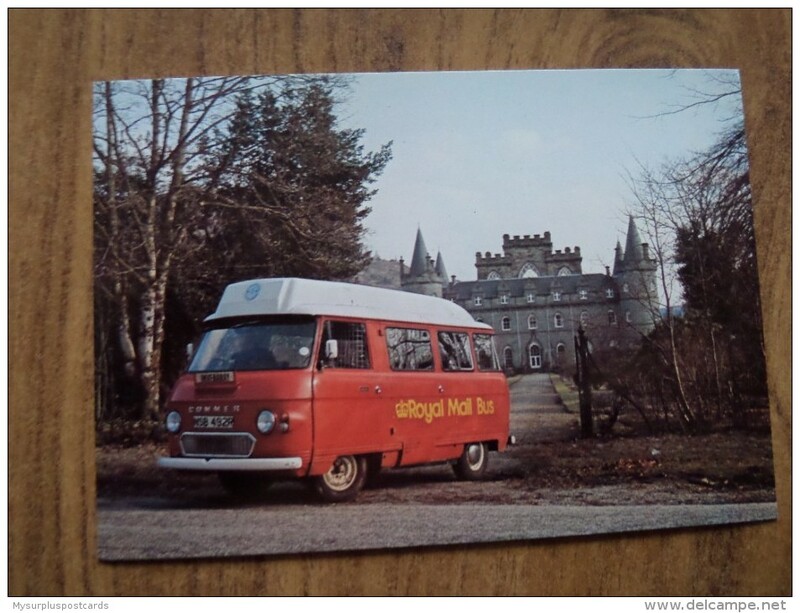 51083 LEAFELET: POSTAL SERVICES: The Postbus in Scotland - 126 locations detailed. 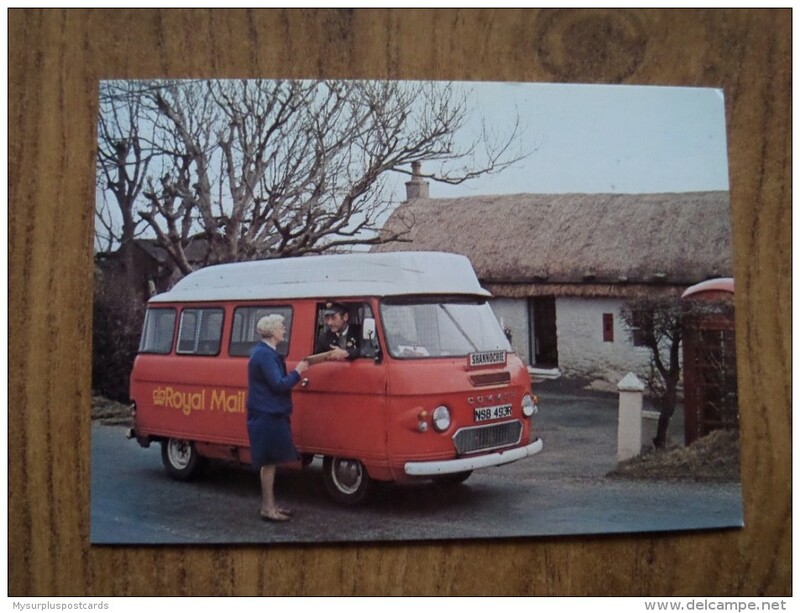 51082 POSTCARD: POSTAL SERVICES: Postbus service 104: (Reg No NSB 493R) THE FORMER SHANNOCHIE POST OFFICE ISLE OF ARRAN. 51081 Postbus service 100: introduced 7 May 1977. (Reg No NSB 492R) SCOTLAND'S 100th POSTBUS LEAVING INVERARAY CASTLE.